We are very fortunate to share our parks and urban ecosystems with wildlife. Many species, including coyotes and foxes, have learned to peacefully co-exist with humans as we all go about our daily lives. 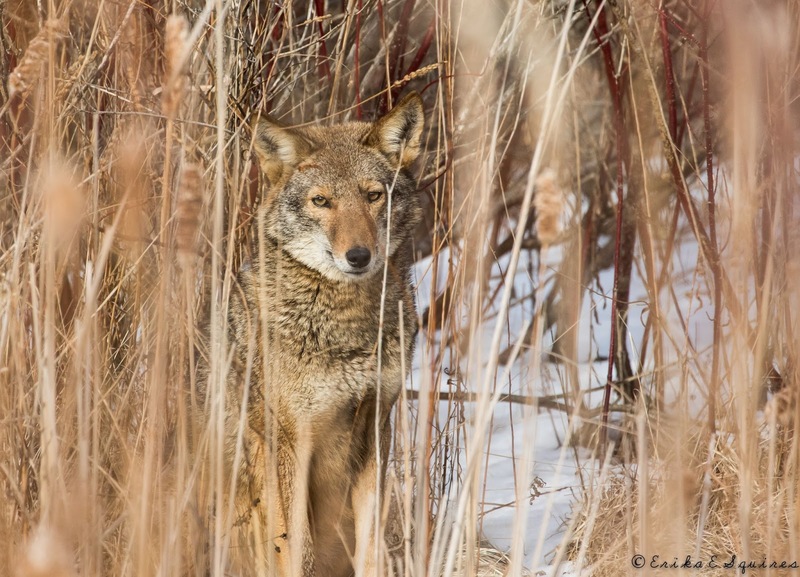 Here, in the parks and green spaces along the west Toronto waterfront, a pair of coyotes has been doing just that for several years, staying mostly out of sight. Many park visitors have thrilled to the quick glimpse of one of these beautiful animals trotting across an icy pond or along a trail; I'm always tiptoeing around corners so that I might, just might, observe one again. It is for this very reason--that continued peaceful co-existence--that the Friends of Sam Smith Park would like to share some education and advice with those of you who visit the park or live in the area. Recently, there have been a few instances of what appear to be food in makeshift boxes placed under trees near the trails, apparently for the coyotes. 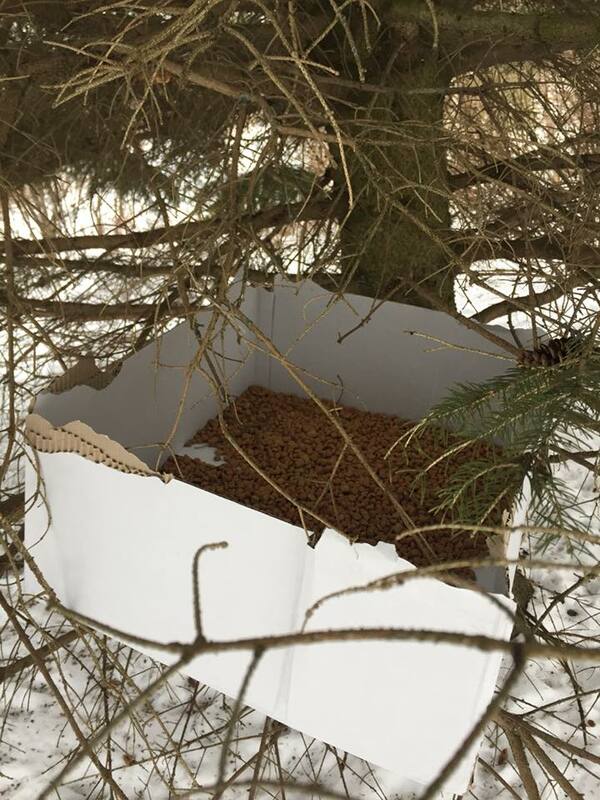 This raises concerns that leaving food items out in this manner, if done repeatedly, may cause the animals to eventually become used to this. 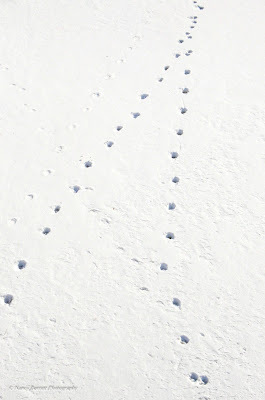 They may become more visible and come out onto trails when people approach, looking for more food. I have myself witnessed this highly-altered behaviour in other habituated wildlife, often to the detriment of the animal's well-being (as in this sad story about a long-habituated fox pair in Algonquin Provincial Park, now being treated at a wildlife sanctuary). By understanding their lives a bit more, perhaps we can develop a deeper appreciation for our wild neighbours. 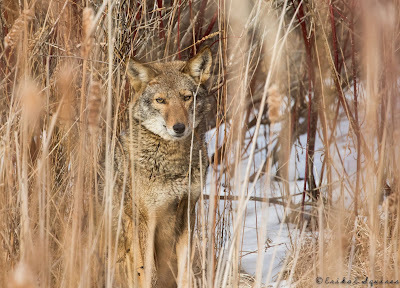 Few species are as adaptable to so wide a variety of habitats as coyotes. 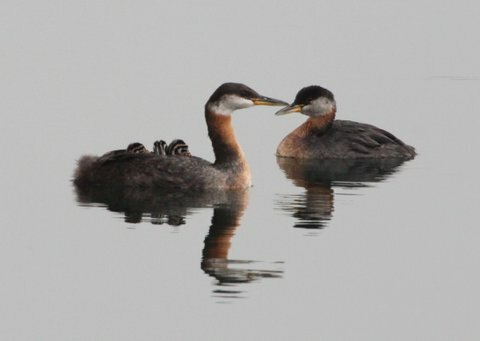 These intelligent animals thrive throughout Ontario, from rural countryside to urban backyards. Coyotes play a crucial role in our ecosystems, and are more common in the city than people realize. In urban areas, coyotes are often found near ravine systems, large grassy fields, and large parks where small mammals--a main staple in their diet--are plentiful. Coyotes are normally afraid of people and try to avoid them--but in cramped city living quarters, we are bound to run into each other once in a while. 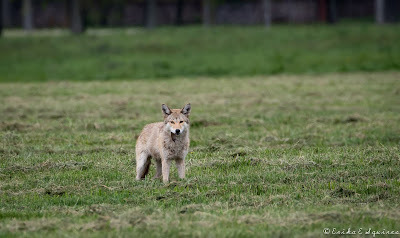 Bold or aggressive behaviour toward people is unusual for coyotes and, when it occurs, is usually seen in animals that have become habituated because people feed them. 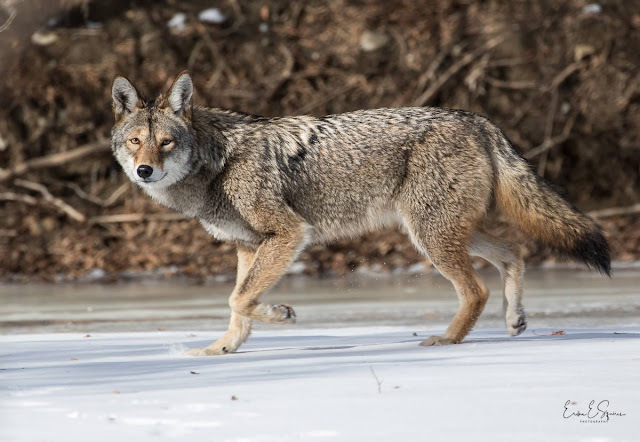 Sometimes the feeding is intentional, but more often coyotes get used being around urban dwellings when pet food and scraps from garbage and compost are not well contained. Under normal circumstances, coyotes are not a threat to people. Coyotes who have been habituated because they were fed are still unlikely to initiate any contact with people, but they occasionally may come too close for comfort. If you encounter a fox or coyote who does not immediately run away, make some noise. Yell, clap your hands, wave your arms, stomp your feet--make your presence felt, but do not approach or chase the animal. You can also carry a whistle or other noisemaker when walking in known coyote areas. 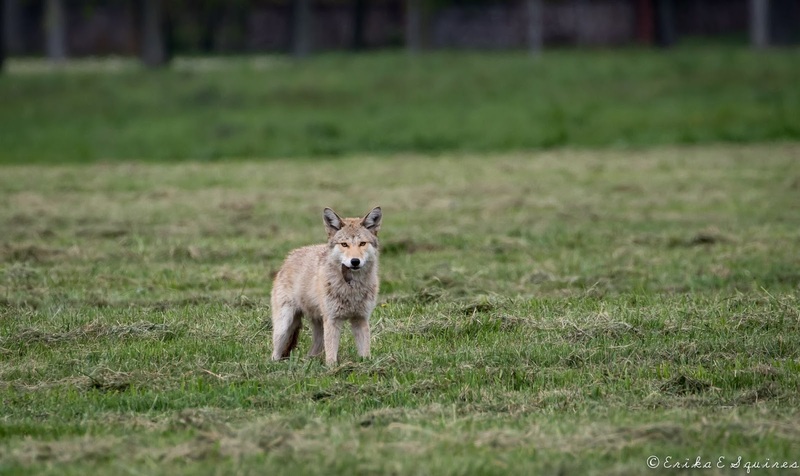 Coyotes occasionally prey on free-roaming pets (mainly cats), since there is no real difference, from the coyote's perspective, between a wild groundhog or squirrel and a similarly-sized pet. For their safety (as well as the safety of native wild songbirds and small mammals, cats should be kept indoors or supervised when outside. Small dogs should be walked on a leash and not left out unattended. Domestic pets outside are vulnerable to becoming part of the food chain, and are also subject to many other outdoor dangers, such as cars, toxins, and disease. Never feed coyotes! 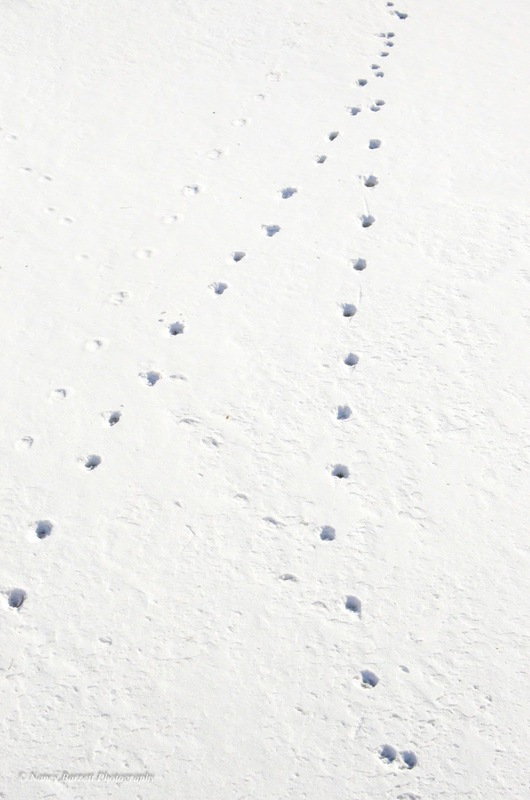 Do not leave any type of food out for any animal; feeding wildlife is not allowed under Parks Bylaw. Carry a personal audible alarm. Carry a bright flashlight for early morning/late evening walks. Make yourself appear larger, shout and/or clap your hands together. Stay calm, hold your ground. Coyotes are omnivores and will eat whatever is available, such as small mammals and birds, carrion, fruit and improperly stored garbage. 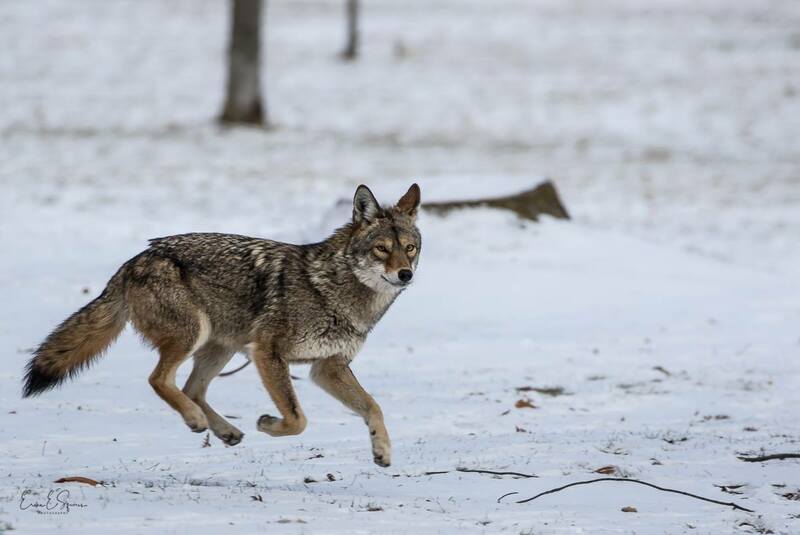 The coyote's diet will also change depending on its surrounding environment. Their natural diet includes small rodents such as mice, groundhogs and rabbits. Also birds, eggs, snakes, turtles, frogs, fish, fruit, plants, carrion and road kill. They are not known to hunt deer but may try to hunt sheep or young calves if in desperate need. Their urban diet can include garbage that overflows from residential dumpsters or garbage that is carelessly stored outdoors. Garbage often attracts mice and rats, which in turn attracts coyotes and foxes into residential areas. 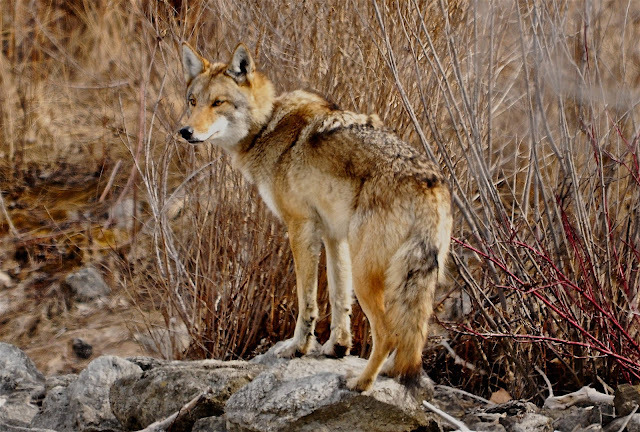 Many wild animals, including coyotes, have adapted well to life in the city. Because food and shelter are plentiful, and predators are limited, these animals will continue to live near us. If we learn to share the environment with wildlife and reduce problems by getting rid of sources of food and shelter on our properties, we can be entertained by these visitors as they make their way to a more suitable home. This coyote was snoozing quietly in a park full of people walking their dogs, and invisible to everyone but the photographer. It got up, stretched, yawned, and went back to sleep. info! We need to stop interfering with nature! But be mindful!